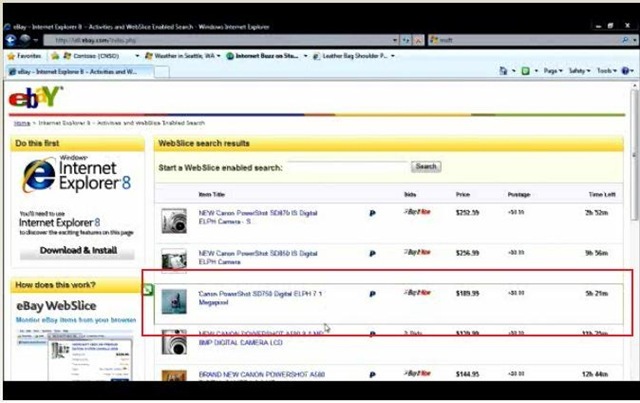 The new version of Internet explorer IE 8 Beta2 providing some cool features like Web slices, Accelerators, Ajax Navigation and Developer tools. 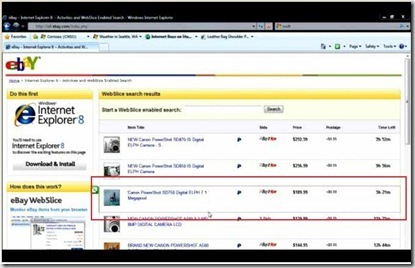 More you can find at IE 8 Beta 2 features for Developers. In order to have your favorite sites up to date on your favorites is really time consuming. 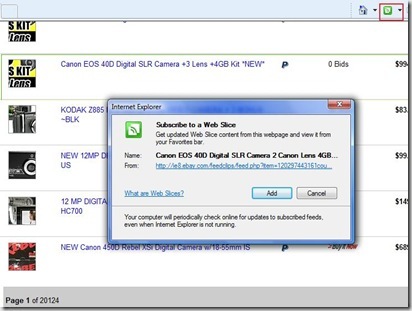 IE 8 brings you web slices through which you can keep your favorite web sites up to date. It tracks the web site that you added to the web slices. 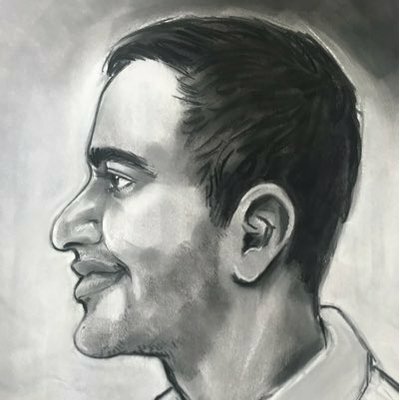 A flash will appear when ever a update is in the site. 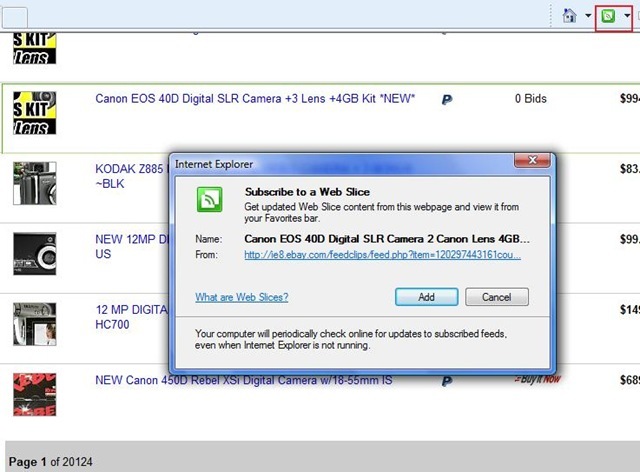 Subscribing to the available web slices in the web site is as simple as adding the sites to the favorites. using Accelerators you can gain access to your favorite online services like searching,shopping and emailing in a click. 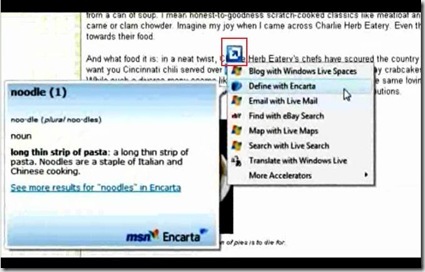 You can search,map,email or translate , share content from any web page that you are currently viewing by just one click. 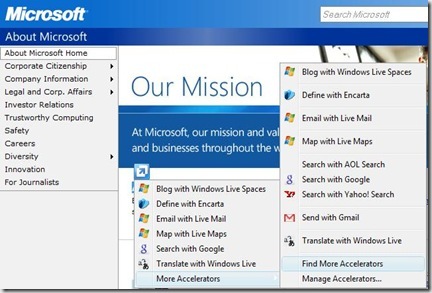 Accelerators are being added to the IE gallery to enhance the user browser experience. 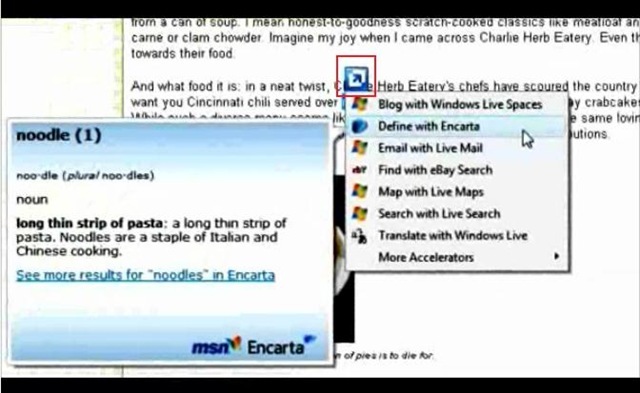 Select the content on the web page that you are browsing and right click on it Accelerator icon will appear as shown above with a set of options like email,map and Blog the text just by a click. You can add more accelerators to the browser by clicking on the Accelerator icon on the web page then find more accelerators the say add it will added to your favorite accelerators. Anyone know if these are based off some universal standard? 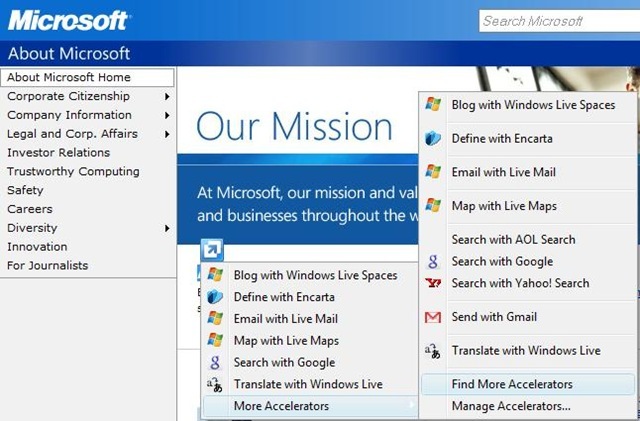 I know the IE7 & 8 search providers stuff is based on the OpenSearch microformat – is that the same with these new features?